N’Dhala Gorge Nature Park is a fascinating site that protects thousands of prehistoric rock carvings. 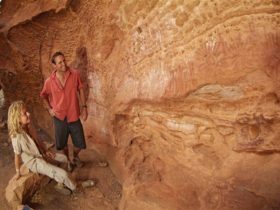 Located within the East MacDonnell Ranges, 90 kilometres east of Alice Springs, this important archaeological and heritage site also protects rare plants. Follow the 1.5 kilometre (one hour return) marked walking track into the gorge. Signs along the track interpret some of the approximately 6,000 individual stone engravings or petroglyphs. 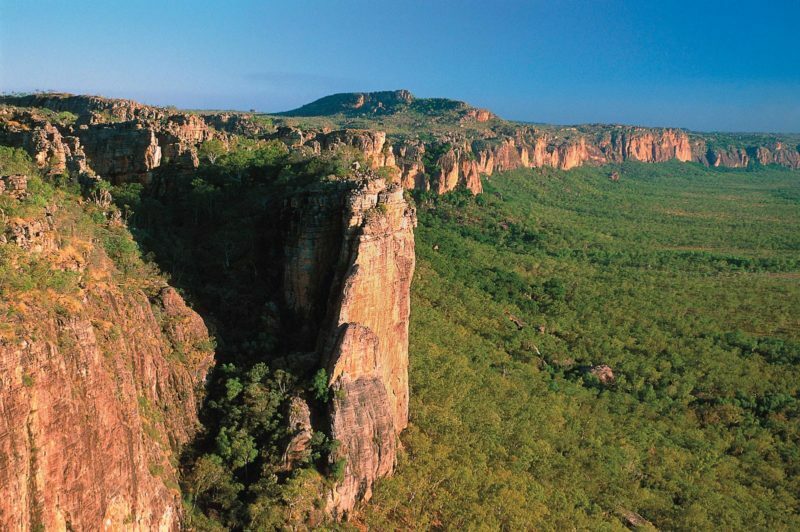 N’Dhala Gorge is also significant for its rare plants such as the Peach-leafed Poison Bush and the Undoolya Wattle. N’Dhala Gorge Nature Park contains Eastern Arrernte men’s sacred sites, including petroglyphs, art sites and shelter sites. The traditional owners call the area Ilwentje. The petroglyphs have been created using either a fine pecking or pounding technique, which are thought to have been used in two different periods. Access to the nature park is via the Ross Highway. Once you pass the Ross River Homestead the track becomes accessible to four-wheel drive vehicles only. Pitch a tent in the bush camping area, which has toilets and picnic tables (camping fees apply). No water is provided so visitors should bring their own supplies.